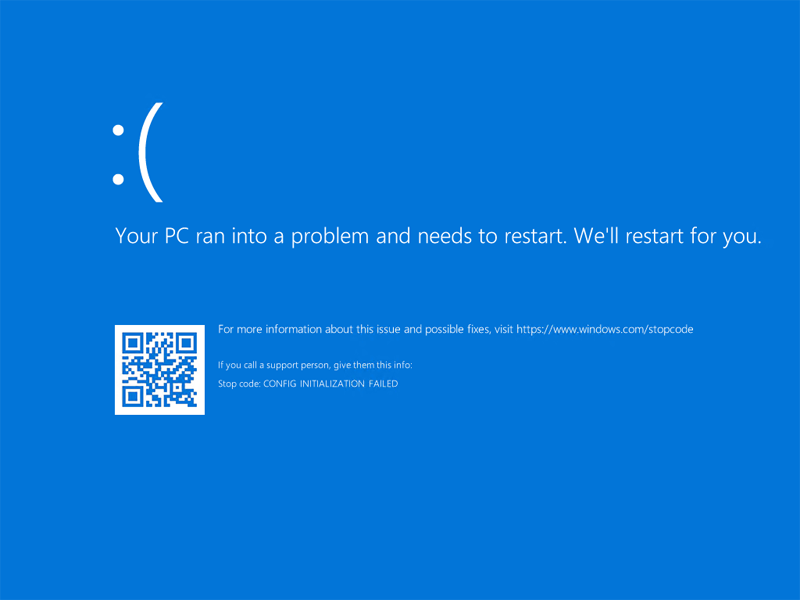 Blue Screen (BSOD): CONFIG INITIALIZATION FAILED after WIM Image Creation Process - C:Amie (not) Com! I am a DVBLink user. DVBLink does not play nicely with Windows Service and consequently it wants to run on a client OS. This means that I have lots of server hardware running server Operating Systems and one device with 4 TV Tuners in it running Windows 10. The newly imaged system will now get stuck in a boot loop. You have a corrupted registry. Finally, if you injected registry data into an offline WIM image, ensure that you did not create the Key .\CurrentControlSet in the C:\Windows\System32\Config\SYSTEM. CurrentControlSet is a virtualised key that is loaded and unloaded dynamically as part of the Windows boot proceess (it is actually a copy of ControlSet001). When the system goes through shutdown or a reboot, CurrentControlSet is cleared and ControlSet001 is copied in-place. If the key CurrentControlSet exists in the WIM file’s registry, Windows will present the CONFIG INITIALISATION FAILED blue screen of death as it is not expecting the CurrentControlSet key to exist at all.